Show of hands, B2B marketers: How many of you know which Hogwarts house you belong in? Or which Disney princess best represents your personality and relationship ambitions? Don’t be shy. I’m a Gryffindor wizard through and through—and apparently, I’m more of a Jasmine than an Ariel. And I know all this thanks to the rise of interactive content. From quirky quizzes to ROI calculators to guided eBooks, interactive content is a rising content marketing star. BuzzFeed is perhaps the most prolific example, creating dozens of quizzes each week that are making their way into social feeds and search results. (And almost all users reportedly finish them). 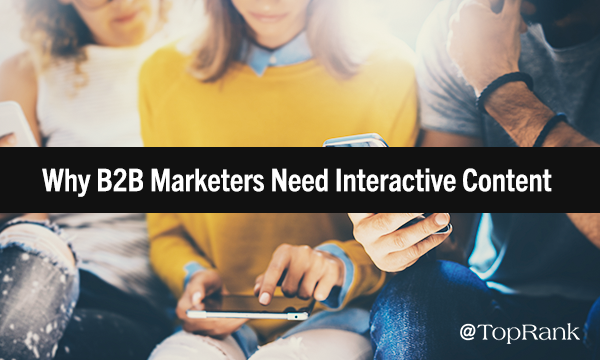 But why should B2B marketers consider adding interactive content to their mix? Because B2B is often pegged as bland and boring. And in a crowded content market, not to mention the fact that buyers’ content preferences are turning increasingly visual, interactive content is the next evolution. But if that doesn’t convince you, read on for a few more reasons why its time for B2B to embrace interactive content. #1 – Interactive content is more engaging than static content—for the long-term. Interactive content may seem a little gimmicky for some marketers—especially those in the B2B space. But the vast majority of marketers who use interactive content agree that it not only grabs attention, but can also hold that attention beyond that initial view. So, if you’re aiming for awareness, engagement, and attention, interactive content holds incredible potential. But I’d also add that this is only true if you deliver quality, relevant content in an interactive format. 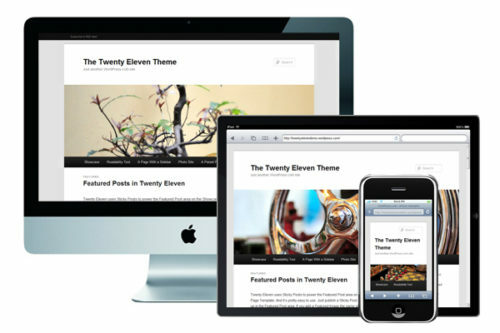 #2 – Interactive content can differentiate you from your competitors. Content has always been a foundational element of B2B marketing. Buyers don’t make hard and fast decisions. Instead, they do their research, weigh their options, and have multiple engagements with sales reps before they sign on the dotted line. Interactive content can help you make an impression and stand out in a crowed, competitive content landscape. In addition, according to the aforementioned report, just 46% of marketers report using interactive content right now—which was flat year-over-year. And if history is any indicator, I’d wager that interactive content adoption among B2B marketers is far lower since the industry is typically slower to adopt new tactics. But that won’t always be the case. Harnessing the opportunity right now has the potential to differentiate your B2B brand from the competition early on, showcasing your commitment to innovation. #3 – Interactive tools can provide you with exclusive data and analytics. Savvy marketers are driven by data insights. And many of the interactive content tools you’d leverage for an asset come with their own analytics dashboards, allowing you to get near real-time data on how your audience is interacting and absorbing your content. For example, Ceros, an interactive content software that simplifies the creation process, provides all the basic KPIs such as visitors, opens, and pageviews, as well as engagement metrics like time spent and interaction clicks. But they also track inbound referrals, social shares, video plays, and outbound link clicks. Oh, and that data is viewable in its Analytics Dashboard within second of it happening. While traditional analytics platforms and the data within them is invaluable, from my perspective, this more niche data can help uncover some insights that can help you refine your asset on the fly or consider how to improve other content types moving forward. #4 – Interactive content can drive results at every stage of the funnel. From educating buyers to creating customer loyalty, interactive content can serve a purpose (and drive results) at every stage of the funnel. Interactive content users report using the tactic for lead generation, lead nurturing, customer retention, and the list goes on. And interactive is especially powerful, when combined with other tried-and-true content marketing tactics. For a top-of-funnel example, Prophix, a leading provider of corporate performance management (CPM) software solutions, wanted to drive awareness around its report on the evolution of financial planning and analysis, as well as its solutions. By repurposing its original research and adding influencer perspectives, we created an interactive quiz to help empower their audience to crush their jobs now and into the future. This anchor asset, which was promoted using a supporting mix of blog content, social amplification, email, and more, saw a view rate 6-times higher than the benchmark for a similar resource. In addition, the page where it lived garnered 3-times the average share rate. What Opportunity Does Interactive Content Hold for Your B2B Brand? Interactive content is here to stay. But the real opportunity doesn’t lay in the interactivity itself. The real value creation is in the excitement or connection that you can make with your audience, as well as the potential to hold their attention for long enough to engrain your message or inspire action. So, B2B marketers. If you’re ready to break away from boring and drive better engagement, interactive content deserves your consideration. 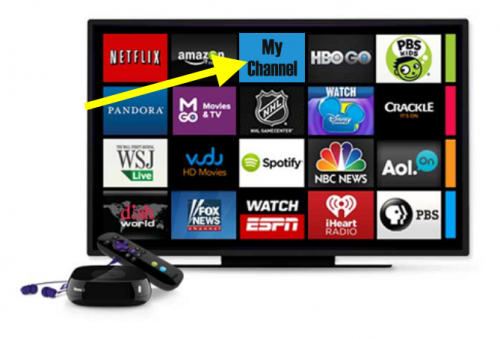 How can you leverage interactive content? Check out our post featuring five ways of making marketing magic with interactive content. The post Interactive Content Marketing: Why B2B Marketers Should Take Their Content from Boring to Bold appeared first on Online Marketing Blog – TopRank®.